Every year most of us forget about our resolutions fairly early on in January. This year make a resolution you can keep! The skin is the largest organ in the body and we are all guilty of neglecting it. We’ve created customisable packages that are tailored to target our biggest skin concerns. See what package suits you best! Why Should I Get A Skin Care Package? Getting a skin treatment or facial every now and then is great! However, they do not have lasting effects or the power to really make a change to your skin. By getting a tailored package or course you are giving your skin what it needs to get to optimum health. How Do I Know What Skin Package I Need? What package you need depends entirely on your current skin health and goals. All packages start with a full skin assessment with a skin health specialist who can guide you depending on your skin needs. What Do Skin Packages Treat? Our tailored skin packages are designed to tighten the skin, tone any discolouration, & improve the texture. Along with at home targeted skin care from ZO Skin Health, we use 3 in-house machines to treat the most common concerns. Texture: Medical Micro-needling with the advanced Rejuvapen® system. Designed for those worried about fine lines and wrinkles, scarring, uneven texture, and uneven skin tone. We recommend 6 HydraFacial MDs to maintain and clean out the skin and reach optimum skin health, along with 6 Rejuvapens™ in order to improve scarring, texture & pigmentation or discolouration. Typically this starts off with a HydraFacial to get your skin started and then alternates every 2 weeks between treatments. This also includes 10% off your first purchase of ZO Skin Health for at home maintenance. However, this will be decided by your dedicated skin specialist as you work around your own needs. For those who are still suffering from Acne, blemishes and breakouts this is the formula to get it under control. This will also help to minimize pore size, improve and prevent scarring and uneven skin tone. This package also includes the full ZO Skin Health Programme with products targeted towards Acne. 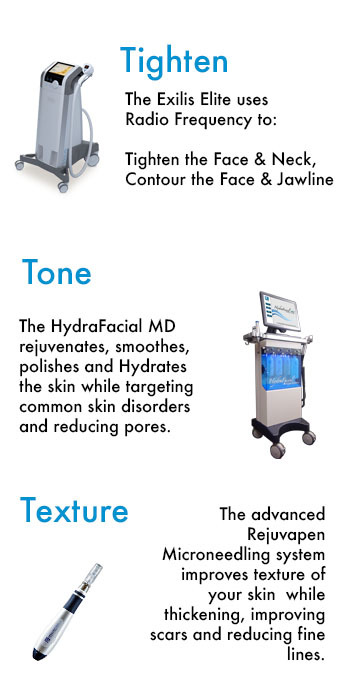 This along with 12 x HydraFacial MDs will clear and maintain your skin. 6 x Rejuvapen® will improve skin tone, texture, scarring while strengthening your skin. Depending on how severe your acne is a number of HydraFacials may be required before starting micro needling. This can be decided by your specialist and depending on your own schedule. This is our most in-depth package and is perfect for those who are worried about ageing skin, loose skin, sagging face and neck, wrinkles, sun damage, heavy jowls and pigmentation. This also includes 10% your recommended ZO Skin Health Products. This offers a combination of Radio Frequency, Microneedling and HydraFacialMD resurfacing. The Exilis Elite and Rejuvapen Microneedle both work to tighten the skin while HydraFacialMD resurfacing will maintain optimum skin health. 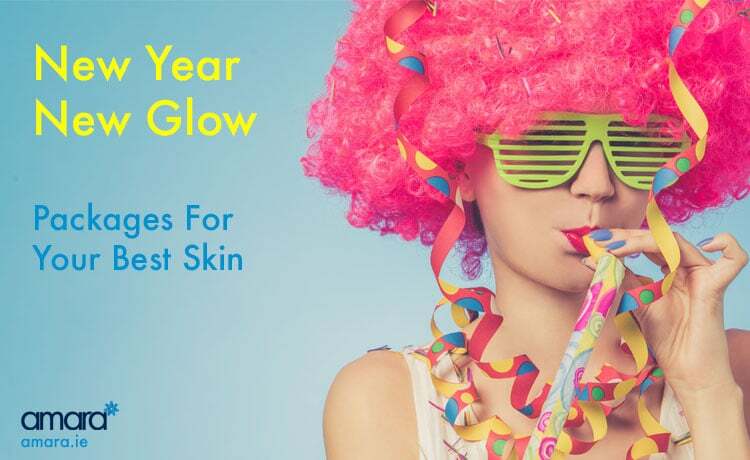 Depending on your own budget and schedule your skin health specialist will help you decide what suits you best. Other courses of HydraFacial MDs or Microneedling are also available. How Do I Get A Package? To avail of one of our packages just contact us to arrange a consultation with one of our Skin Health Therapists!